We know our history, and we do not discriminate against our own kinship. 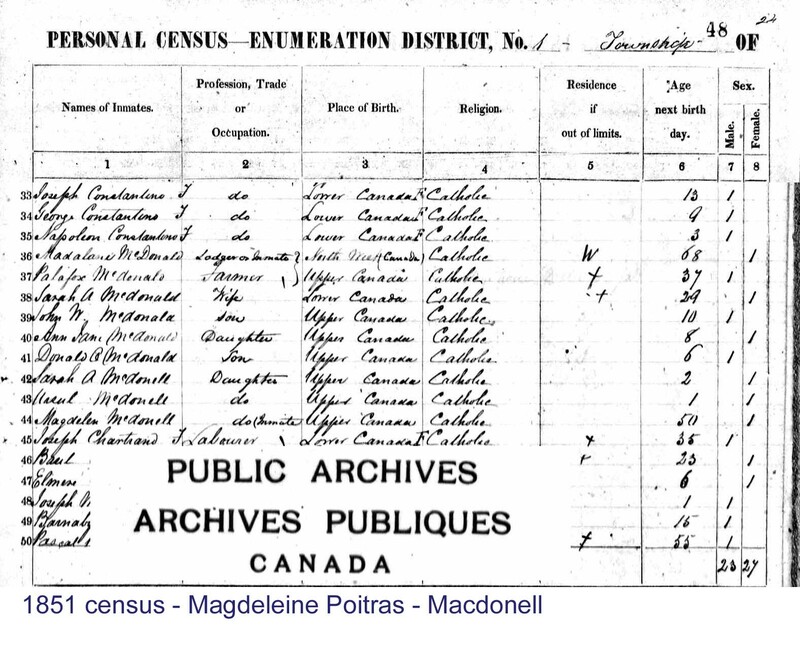 For example, the demand by some registries for census records in Ontario and Quebec that specifically state someone was Metis, is unrealistic. We have documented proof of Metis families who are kin to or part of fur trade "brass", who upon moving to Ontario or Quebec cannot provide such census records, because there is often either no column in the record for that type of information, or else it has been hidden, even in Metis families who are recognized as Metis because of their ancestry in Red River. So for example, we do not believe that someone who lives in Toronto today, who has direct kinship to Red River Metis, should be stripped of their Metis identity because they moved, so we will not apply these rules to our ancestors. In contrast, many western Metis families cannot prove they are Native American in a legal document other than scrip, but we don't exclude them based on this fact. For a solid registry, the government requires full proof of Native ancestry, so that is what our registry contains -- baptism and marriage records for each generation in the direct family line. Records in the west use "scrip" to prove if someone has Metis ancestors, but can they actually provide records that state their ancestors are Native American? We do it, but this would be highly unlikely for western Metis, since our commonality with them is that many fur trade Native ancestral unions were not recorded. Similarly, our registry cannot request proof of scrip records because they do not apply to Ontario or Quebec. Therefore, we don't distinguish between types of records to describe us, because they do not reflect our true identity. We know there is a discrepancy because we have done genealogies for some of these fur trade "brass" families, and have not been able to prove their Native ancestry, even though the government and the community knows who they are. We know that Metis in the west such as the Riel family have scrip that proves their ancestry, but Metis that left the west and do not have scrip do not have this proof. Still, we make sure everyone in our registry is proven as Indigenous. But for all intents and purposes, if Louis Riel himself were to apply to some registries today, he would not qualify for Metis status if he had to prove he was Native WITHOUT scrip, or prove his ancestor was listed as Metis in Ontario or Quebec census records, or prove his Native line is from the western "Metis Homeland". So what does this say about the thousands of people whose families left the west before scrip was issued? 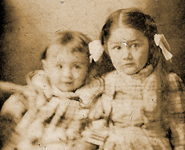 Louis Riel's grandmother, Marguerite Boucher-Riel, who was his nearest Native ancestral line, to the best of our knowledge does not have a birth or marriage record stating that her family is Native American, and it appears there is no conclusive proof his ancestor was even from Red River. In addition, Marguerite Boucher-Riel died in Ste-Madeleine-de-Rigaud, QUEBEC, after a long retirement there, at about the age of 100. 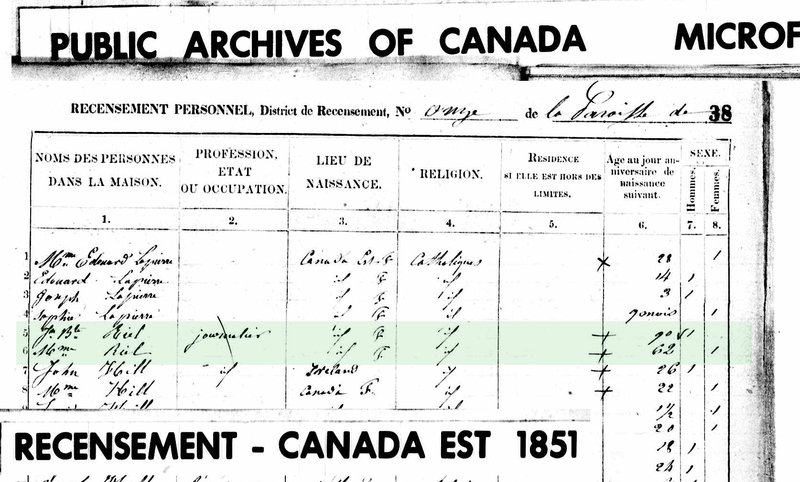 According to the 1851 census record for Ste-Madeleine-de-Rigaud, at age 62, his apparently half Ojibwe grandmother is not listed in the census as having Native American blood at all. It only states she was born in East French Canada. If Louis Riel were alive today and needed to prove his family was from what some organizations are labelling the "Metis Nation Homeland", the direct descendants of that grandmother in Ste-Madeleine-de-Rigaud, QUEBEC, would be refused registration with those organizations. This is equivalent to what some applicants are reporting that they have been told with identical situations, and more proof than Louis Riel would be able to secure today. He would then need to prove that he descends from a Native American by using the only provable line for him without depending on scrip records -- and that would be collecting records back to the 1600s to his other Native ancestor. Our organization has studied the history of all our people, not just some of them, so the thousands of Metis persons who, like Riel's family, did not stay in the west or do not have census records that state specifically the word "Metis", will not be ignored nor denied registry. Instead, we find another Native line to document them. Another example of this is the family of well known Northwest Company partner John Macdonell and Metis wife Magdaline Poitras who retired to the Ottawa River community of Chute-a-Blondeau, ONTARIO -- her Poitras are a very core Metis family, including close kinship with both Cuthbert Grant Jr. and Louis Riel, not to mention that her brother Andre Poitras was part of Louis Riel's provisional government, her nephew & nieces married into the Riel family, and yet their family's records in Ontario and Quebec do not give one clue that they are Metis OR Native. For all intents and purposes, her family would not qualify for Metis registry with some organizations who attempt to define us today by these standards. We understand the nature of our census records and others, and we do not discriminate against our own kin for lack of these types of records that other registries are attempting to demand in order to define us. Our organization's registry fulfills the criteria outlined in the Canadian Constitution and the criteria outlined in the Powley test case of demonstrable Aboriginal ethnicity, self-identification and community acceptance. Other organizations do not have the right to define all Metis by their separate criteria, nor to represent us, one way or the other, nor to claim that they represent all Metis, especially when core Metis families were living in Ontario and Quebec during the various uprisings, and the voyageurs' of the 1700s and 1800s home base was in the waterway areas around Montreal. Given the amount of reference in historical journals about the common practice of leaving their Native wives in the west and taking their children away to the east after the fur trade waned, the resulting thousands of Metis children of the fur trade then scattered across many other parts of North America, forming many Metis communities. We also do not believe that persons should be stripped of their identity as Metis because they moved away from the west. The waterways of the Great Lakes from Detroit to Temiscaming and tributaries such as the Ottawa River were part of that same Metis homeland. Many of the fur trade partners and owners had their home base in areas near Montreal. The historic communities that evolved, whether they be in the west or in the east, were all victim to the order of the day: hiding of our well-formed collective identity. Finally, racism did not stop to ask someone how far back their ancestor was, nor where they lived, before making them a victim. If a family had visibly Native members, then they were targets for racism.